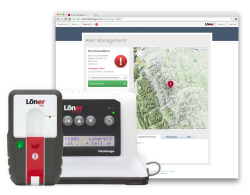 Canadian Occupational Safety magazine's recent article "Monitoring on a Budget" included in their August issue, features our recently launched solution, Loner® Complete. Loner Complete, a turnkey safety monitoring program for companies impacted by the recent oil price drop and other economic factors targets organizations with remote employees, bundling Blackline’s Loner Bridge System as part of a comprehensive service offering without any upfront capital purchase or fees. Loner Complete makes the world’s best safety monitoring solution even better for personnel working remotely, who face safety risks in the field every day. Our Loner Bridge System is now more accessible to organizations where working capital is tight and turns the overall monitoring system into a hassle-free, comprehensive service plan. « previous postVOTE FOR US IN REAP'S 2015 BE LOCAL AWARDS!